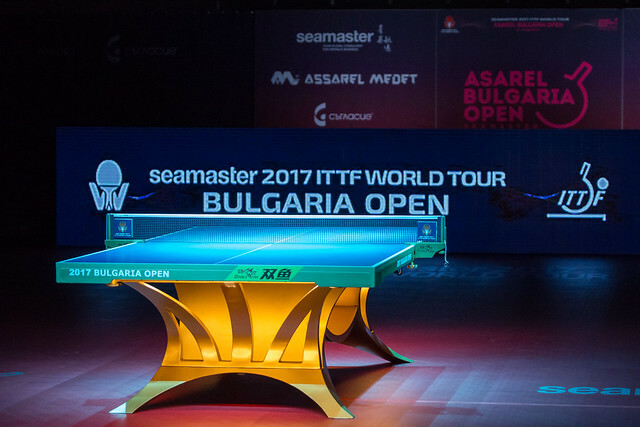 The identities of the unseeded players to compete in the Men's Singles main draw are now known, after the final stage of qualification was played out on the afternoon of Wednesday 16th August with 14 competitors progressing through to the Seamaster 2017 ITTF World Tour Asarel Bulgaria Open. Hung Tzu-Hsiang is one of three Chinese Taipei representatives to emerge victorious from the preliminary qualifying round, following a class performance against the Slovak Republic’s Lubomir Pistej. While Hung Tzu-Hsiang managed to come through the tie by four games to one the match was actually closer than the end scoreline may suggest (11-9, 8-11, 11-8, 11-8, 12-10) but nonetheless the Chinese Taipei contestant deservedly booked his place in the main draw. Peng Wang-Wei and Chou Te-Hao will also represent Chinese Taipei in the Round of 32 after claiming victories from their respective fixtures against Sweden’s Viktor Brodd (11-5, 11-6, 11-8, 10-12, 8-11, 11-4) and Yuma Tsuboi of Japan (9-11, 11-6, 11-6, 8-11, 12-10, 11-13, 11-6). The display from Chinese Taipei was promising, but it was the Japanese contingent that took the spotlight. Mizuki Oikawa meets Tomas Polansky in the Under 21 Men’s Singles final, and surely the Japanese competitor heads into the title match with the greater confidence of the two players after he saw off his Czech opponent with a positive showing (9-11, 11-9, 6-11, 11-6, 11-6, 11-7) in the preliminary qualifying round for the senior tournament. “We have played matches before and I played according to a tactic of his that I know. I would say that being faster was my advantage against him. In the coming Under 21 final I will try to respond well against his low services”, Mizuki Oikawa. More Japanese success came via Yukiya Uda and Taku Takakiwa, who overcame challenges from Swedish contestant Harald Andersson (16-14, 11-9, 11-7, 9-11, 11-5) and India’s Sathiyan Gnanasekaran (7-11, 11-7, 11-9, 11-2, 11-6). Five European competitors advanced from the round including Kirill Skachkov after the Russian came back from a game down to beat Yang Tzu-Yi (8-11, 11-9, 11-6, 11-6, 11-6). The reward for Kirill Skachkov’s hard work in the qualifying tournament is a meeting with the top seed Dimitrij Ovtcharov in the opening round of the Men’s Singles competition which commences on Thursday 17th August.